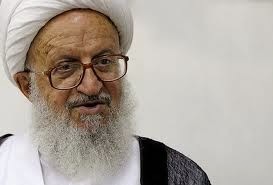 During a meeting with a group of eulogists from the Revolutionary Guards in Qom, Grand Ayatollah Naser Makarem-Shirazi discussed the role the uprising of Imam Husayn (A) has played throughout history but warned Shi’ite mourners of the tragic impact their words can have if they insult the personalities of our Sunni brethren. Ayatollah Makarem-Shirazi emphasized that mourning ceremonies and sermons be constructive and have a profound effect on the believers, saying that the event and the culture of Ashura has shaken the thrones of tyrants and oppressors. It was a major influence on Imam Khomeini (RA), who saw the victory of Islamic Revolution in the light of the revolution of Imam Husayn (A). People in their millions came out to face the unjust Shah of Iran in mass demonstrations after holding mourning ceremonies in Muharram and Safar. They were able to overthrow the evil Pahlavi monarchy because of their love for Imam Husayn (A). He emphasized that unity between Shi’ites and Sunnis is the most important element to address blind extremism and terrorism. He added that the knowledge of the Ahlul-Bayt (A) must be propagated in a respectable manner because Takfiris want to ignite the fire of strife between Shi’ites and Sunnis. He strongly emphasized that Shi’ites must never insult the sanctities of other religions during their mourning ceremonies because the result of their insults will only lead to the shedding of Shi’ite blood in different parts of the world.